We are most popular name in the market creating world class range of Pet Club India Puppy and Cat Cage that are available in many size options. 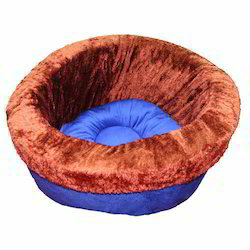 Our array of products comprises of premium quality Cat Basket, which is made in compliance with industrial standards of quality by using the best quality material. Wooden Dog 🐕 / Cat 🐈 House..
Made of wooden Plank's beautiful and nice looking. - Size 32 inch x 34 inch. ( Including stairs) Height 31" ( including railing). - Inner clear size 30 inch x 22 inch. Height 21 inch. - Door entrance 12 inch x 9½ inch. Keep your pet safe and comfortable whether traveling by air, ship or car in a pet travel crate. These imported cat and dog crates have been used by thousands of our customers for their pets to travel safely all over the world. Buy a quality, well built crate for your pet! Included with the crates for dogs and cats are water/food bowls and live animal stickers. 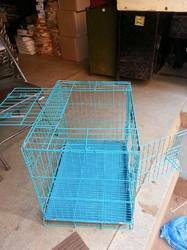 - We Sell Birds cages made out of Wood and Weld mesh suitable for any size available in your home.